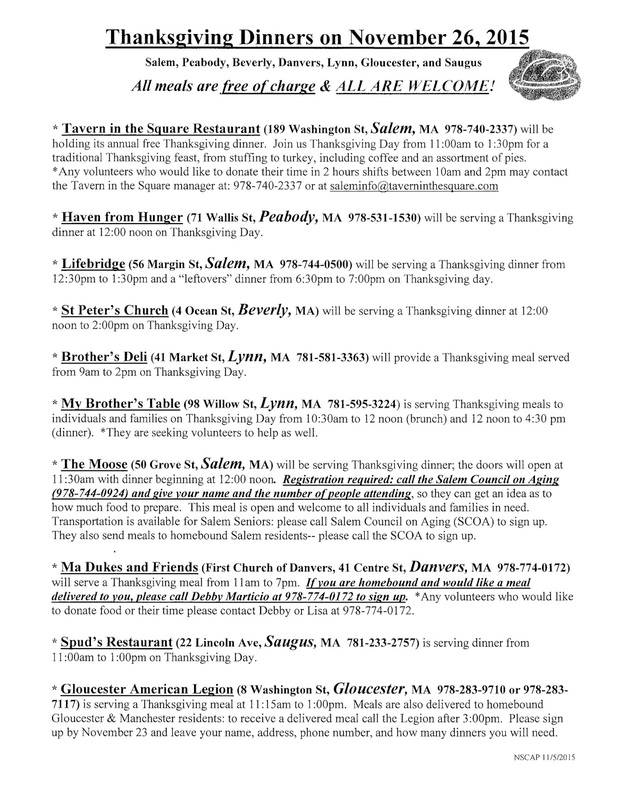 Our friends at North Shore Community Action Programs have put together a list of establishments offering free Thanksgiving meals to those in need this year. 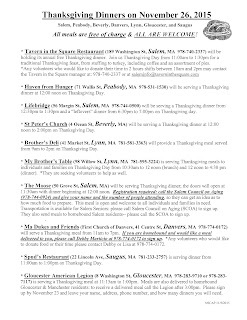 Please pass the information on to anyone you may know who may be going without a meal on Thanksgiving. 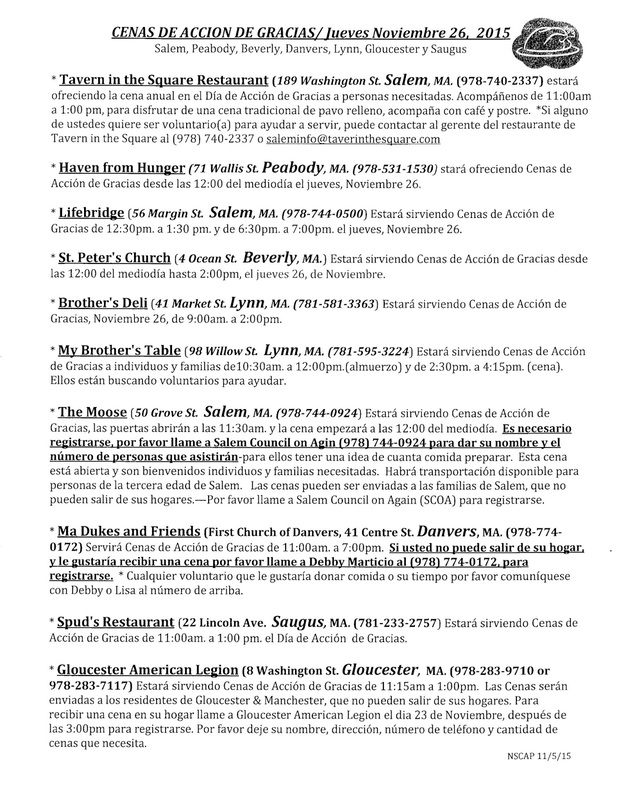 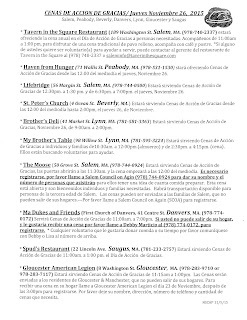 The list also includes information for those looking to volunteer their time.